With popular rookies being omitted and Rory Laird failing to get up for this weeks match, coaches will need to make some nifty trades in an effort to avoid doughnuts this week. Come check out all the fantasy relevant INs and OUTs! So the gross bye round which we’ve all been dreading is finally here upon us. With premiums failing to return and well-scoring rookies being dropped, this week will throw up a few doughnuts for most coaches. After trades, I’m only able to field a pretty motley crew 17… let’s hope you’re all able to scrape together something solid for the week! Let’s get into all the significant INs and OUTs for the week. Captaining our INs list this week is none other than Brownlow medalist, Nat Fyfe, who returns following his one-match suspension. 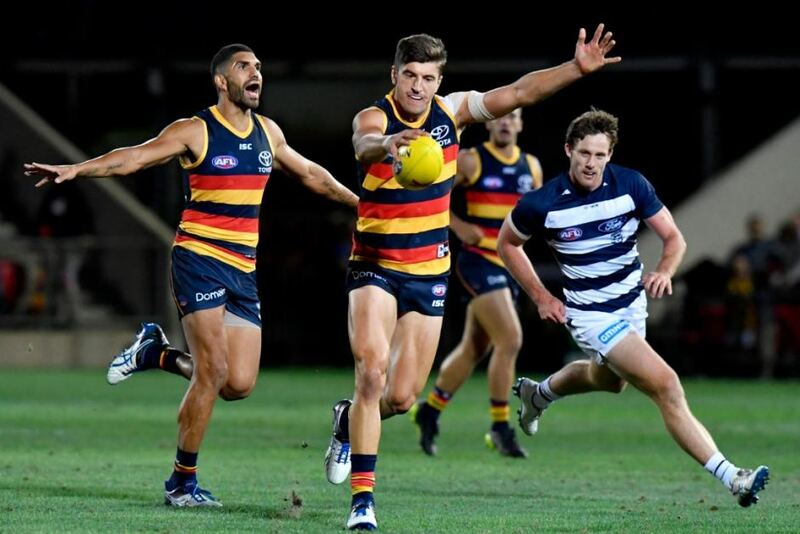 Debuting this week for the Crows is mature ager, Patrick Wilson, who looks set to add some steel to Adelaide’s under siege midfield. As a Mid/Fwd at only 170k, Wilson provides a good downgrade option this week, besides his bye next. Also coming in for their debut this week is Eagles tall prospect Jarrod Brandner, although his 246k price tag may deter some. West Coast have also brought in Luke Shuey and Liam Ryan after most have missed a fair chunk of footy with their respective injuries. After some NEAFL like numbers in the VFL last week, Jack Billings has earnt a reprieve and will line up for the Saints in their match against the Gold Coast Suns on Saturday. The Suns themselves have chosen to recall Jarryd Lyons, who for some reason unbeknown to the wider footballing public, was dropped to the magoos by coach Stuart Dew. Dustin Martin has been included in Richmonds squad for their Sunday clash with the Cats after missing last week, citing a calf problem. Patrick Wilson is in to debut this week for the Crows. Here’s where it really starts to get uncomfortable. Popular Saints rookie Ed Phillips who has averaged 75 in his five games this season, has been dropped this week. Joining him as the omissions for this week include a raft of rookie selections, including Nick Coffield, Scott Jones, Cameron O’Shea, Will Brodie, Brad Scheer and Jacob Herron. Adelaide whipping boys Lachlan Murphy and Darcy Fogarty have also lost their spots through omission. Fremantle will be without barometer Michael Walters, who will serve a one-week suspension for a late brain snap tummy tap against the crows. The Dockers will also be without young defender Alex Pearce, who is set to miss through injury. The Cats have lost Aaron Black after he hyperextended his knee last week in their clash with the Roos down at GMHBA stadium. With heaps of popular premiums missing this week, the exclusion of rookie selections brings a few more unwanted headaches. Hopefully, with some luck we’ll be able to field some respectable squads and put up a competitive score in this bye round. 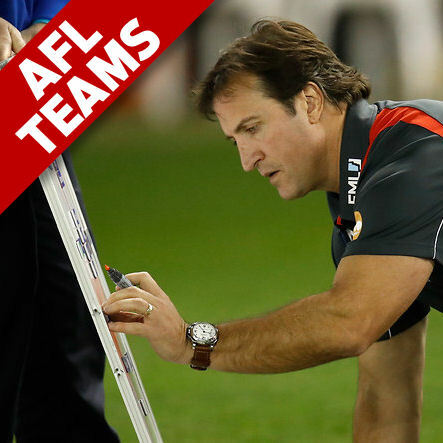 All the best this week coaches, let’s hope for a good week of fantasy footy! Kick of discussion in the forum below or send through any questions you’ve got to me on twitter @JelmsDT. Macrae done for the night! Last thing I wanted to see was him in a tracksuit, could be in for a long weekend. Thankfully I decided to save the $$$ and not pick him up this week. What does 117 under your BE equate to? Something in the ballpark of -$60K. I didn’t realise his BE was so high. McLean doing amazingly badly after three quarters as well. And his BE will go up again, so whenever he comes back he’ll have another week or 2 of price drops..
Man, brought in Macrae and McLean this week! Kiss of death! I feel your pain, I just brought in Macrae too. FML. Would you take Rockliff (128) as a loophole captain? The other two decent options are Gibbs and Mitchell. yeah, i’ve done the same and not sure if i go him or titch. In a bye round with some carnage, 128 runs on the board are gold! Take it. What’s everyones thoughts on Brander (WCE)? I got him in, mainly just so I had a 19th player who has already had their bye. Not expecting too much from him, but Kennedy will probably get the most attention from the Swans this week with Darling still out, so hopefully he gets a few touches. Is anyone holding Ed phillips or should i trade for wilson? Being omitted from Saints isn’t a good sign, especially considering he was far from their worst player, plus they have the bye the week after, so 2 weeks off.. I traded for Wilson so I could field 18 this week, and just hope he does enough this week to stay in the team post bye..
Yeah this is true, but you’ve also got to have a look at who else they’ve got in. – Sloane then probably replaces Wilson (if Sloane even returns to fitness). Sloane is probably a week away and has the bye, so 3 weeks before his next game. I think Otten has to stay in if laird comes back in since eagles are their next opponent.